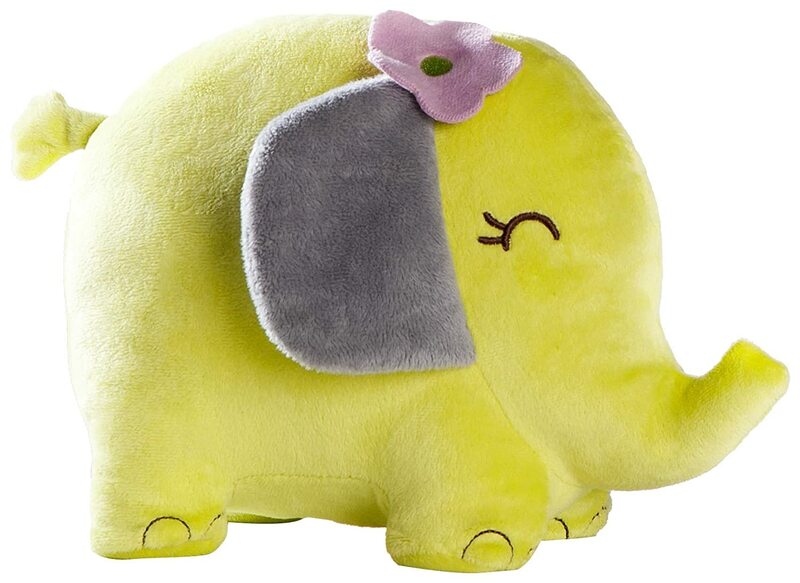 Home Kids Room Decor Kids Animal Decor Archive by category "Kids Elephant Bedroom Decor"
This cute green elephant features a cute design & purple flower & ears. It’s so plushy it’s almost an accent pillow. Carters Elephant Patches PlushBuy It! A magnificent addition to your child’s animal themed bedroom. Each bookend is lovingly handcrafted, comes in a gift box, made of faux leather & it’s super heavy. These are so stylish they can be placed anywhere you like-on the desk, beside the bed, in the living room, office…etc. Zuny Classic Series Elephant Blue Animal BookendBuy It! 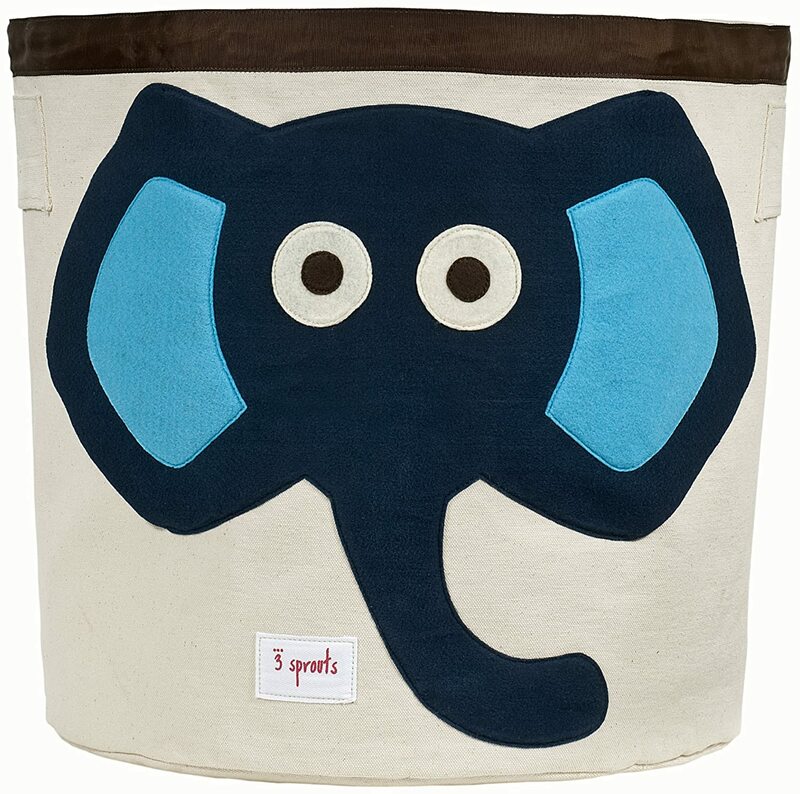 This funky elephant storage bin is great for kids junk, clothes or anything else you want to cram in them. They’re made of super tough canvas with blue embroidered elephant face. It’s 17″ tall making is great for even clunky toys. 3 Sprouts Elepahnt Storage BinBuy It! What kid wouldn’t love a elephant wall decal? Oh wait this one is also a chalkboard! 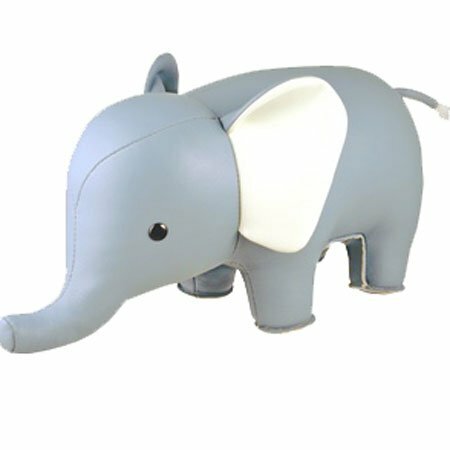 Perfect for any playroom or kids bedroom this whimsical elephant will inspire hours of quiet play (no really!). 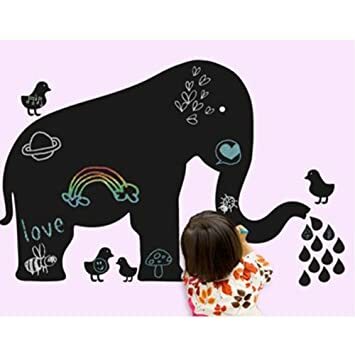 Wall Candy Arts Baby Elephant ChalkboardBuy It!